Today in technology, voice is more important than ever. The ability to dictate a command and interface with software and hardware has irreversibly changed how we use products. iOS has Siri. Windows Mobile has Cortana. Android has Ok Google. But web browsers strikingly lack this functionality. There's no native means to interact with your browser through voice — until now. 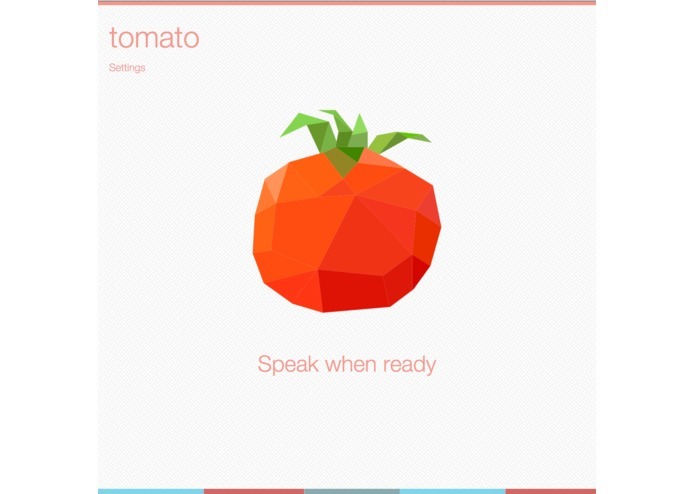 Introducing Tomato — a simple interface for experiencing the web through voice. Tomato integrates a wealth of dynamic APIs from the Mashery Network to let users make powerful voice commands with the browser. Imagine asking Tomato for an update on the weather, the upcoming NFL game, or the price of your favorite stock. 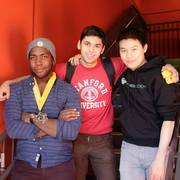 Through the use of SendGrid and Twilio APIs, Tomato allows for seamless transfer of data — you can easily email a friend a selfie, send someone money through Venmo, or text someone the leading movie recommendation on Rotten Tomatoes. What's more is that all of your data is easily saved in DropBox. Critical to its flexible functionality, Tomato is built with a modular speech processing algorithm that can combine multiple commands. This allows for the several APIs built in to Tomato to work with each other to complete complex tasks. With Tomato, you don't even need to click. Picture asking your browser "where am I," and receiving an accurate response in realtime. It's that simple.